“I said (to Nick Diaz), ‘What do you think about this fight [against Condit]?’ He goes, ‘I don’t like it.’ I said, ‘Well, that was quick. That was an easy conversation. You either want to fight, or you don’t want to fight. If you don’t want to fight, you can’t force a guy. There’s guys that are chomping at the bit. If Tyron Woodley texts me one more time. He must text me 15 times a day. When this thing with Georges St-Pierre went down, boom, he wants every fight. There’s guys like that out there. During Dana White’s post-fight media scrum last Saturday he discussed the disappointment with not being able to secure a rematch between Nick Diaz and Carlos Condit. 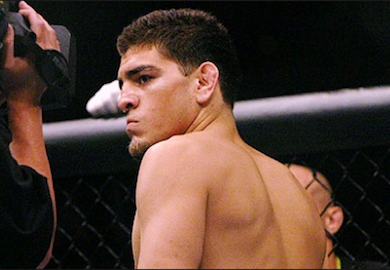 It’s the fight people want to see, but Nick Diaz is apparently happy in the sidelines.